Redeemer Youth loves to help young people grow into devoted disciples of Jesus so they can, in turn, share Jesus with their friends and the people around them. Within Redeemer we have 2 groups of young people. 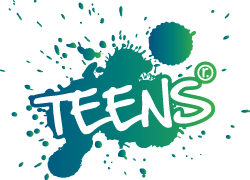 Teens for teenagers between 12 and 14 and Youth for 15 to 18’s old. Both groups meet every other week on Sunday evening from 18:00-20:00 at the Redeemer office. We have our own programme, which typically involves games, great teaching, good food, relationship building and lots of fun. Once in a while we meet on Friday or Saturday nights to do fun activities together. Once a year, we go on a weekend away together to build relationship with God and each other. During the summer holidays we also join New Day, a big youth camping event in the UK that takes place every summer for six days. Are you between 12-18 years old and would you like to join one of our groups? Or are you the parent of a teenager, and would you like some more information about Redeemer Youth? We would love to hear from you! You can send an email to Rhodé, the Youth coordinator.